If you are looking to increase the thermal efficiency of your commercial property then look no further. Using the most modern insulation techniques and materials, we can ensure that your building will be brought up to current building specifications, working around your pre-existing roofing system. Some of the finest insulation products on the market, Kingspan offer outstanding energy efficiency and increased U-value, with a wide range of solutions ideal for all types of roofs. Whether you have a flat roof or pitch, or a distinct lack of space, the variety of high performance insulation cores on offer will provide you a solution to thermal inefficiency for years to come. 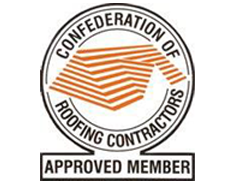 To find out more about the types of industrial roofing insulation we have on offer, get in touch and one of our dedicated staff will be on hand to help however they can.